The ritual murder of Simon of Trent, 1475. 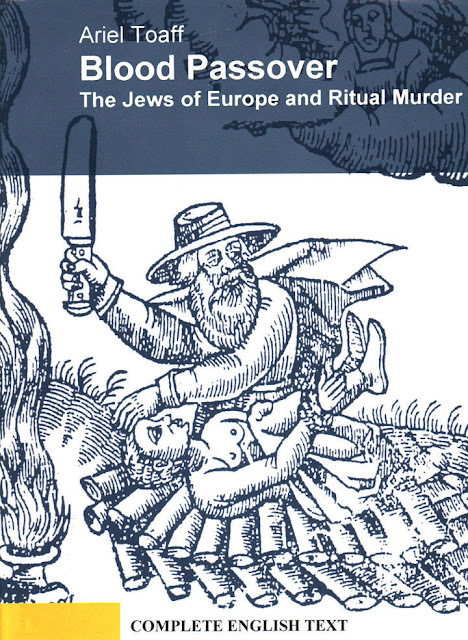 Video - Jewish Ritual Murder Revisited: The Hidden Cult. It is an in-depth study that cites Dal's study of this matter, as well as many other respected investigators who have researched this rather grisly topic. Complete documentary on the ritual abuse crimes of Jews over the centuries. Many people have written about this topic: Dr. Arnold Leese, Dr. Hellmutt Schramm, Dr. Philip DeVier, Dr. Harrell Rhome, Dr. Edward Fields, Attorney and Duma Member G.G. Zamyslovsky, Russian Poet V.V. Rozanov, numerous Popes, Martin Luther (the founder of the Lutheran Church), King Ferdinand of Spain, and many other well-respected people throughout the course of time. Were they merely "hate mongers," as Jews might say, or was there something more? Some who study such matters may recall the May 1, 1989 Oprah Winfrey Show, and how a Jewish girl came out and told how members of her family--and other prominent Jews who were involved in the government and in other respectable jobs--had been involved in the cruel act of human sacrifice. She described the situation in detail. Curiously enough, that very same year, a child's skeletal remains had been discovered in a synagogue's basement. This video traces the ancient Babylonian child sacrifice practices that are still done secretly today. Ever wonder why there are so many missing children across the US/Canada? What happens to them? Here is some of the history of the KNOWN and DOCUMENTED Jewish Ritual Murder of "goyim" or non-Jews from 168 BC right through to the 2000s. There will be THOUSANDS MORE incidents that have not been documented, or that have never been discovered as being part of this Jewish Sacrificial rite/ right. The latest known murder of two boys by three Jewish teenagers was in Arkansas in around 2010 AD on the eve of the festival of Purim. Certainly, the Jewish media didn't cover the murder of these two goyim boys as a Jewish Ritual Sacrifice. The two young victims had indeed had their blood drained out of them, consistent with Jewish Ritual Sacrifice. BC. 168 Appaeon reports an adult male was found at the Jewish temple. He was intended for sacrifice. The ritual was repeated annually.. It was agreed by the Jews carry out this violence every year. It was agreed the victim would be a Greek foreigner. AD 300 The Bishop Eusebius of Caesaria reported that Jews killed Christians during Purim. 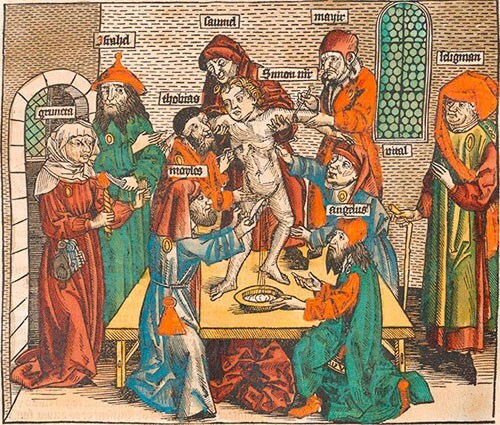 415 Jews bound a gentile (non-Jewish) child on a cross and poked him until he died. 425 A Christian child was crucified by Jews. 614 The monk Antiochus said when Jerusalem fell to the Persians, the Jews purchased a gentile from the Persian victors. The Jews slaughtered the gentile like they would have done to a goat or a sheep. 1067 Prague. Six Jews drained blood from a 3-year-old child. Found dead. 1089 Jews were permitted into England - let in by the Norman conquerors of England. They had previously been kept out. 1096 "Estrati" child murdered in Kiev, Russia. He was later made a saint. 1144 William of Norwich was a child who was ritually murdered. This child was related to an educated monk, Thomas of Monmouth. Thomas wanted to let the whole world know, once and for all. His book was translated into English in the 19th Century. The church then decided that such "politically incorrect" incidents should not be known by the general public. 1115 Germany - Hassidic Jews tortured five children. They were found dead, drained of their blood. 1243 In Barvaria - A child was killed for occult rites, during Passover. 1255 Hugh was ritually murdered. His punctured body was found on a Jew's property. Over 20 children were made into Saints by this time in the Catholic Church. 1290 A child was killed in England. 1290 (one month later) Jews were BANNED in England. 1331 A child was killed. The Jewish perpetrators were burned alive. 1345 Munich. A child "Henry" was killed. He was found with over 60 wounds. 1420 A child killed in Venice, Italy. The Jewish perpetrators were executed. 1462 A child killed in Austria. 1475 Simon of Trent in Italy was horribly killed. Fully documented. 1485 Another child was killed in Italy who was canonised. Fully documented and attested to. 1492 Spain - Christopher was ritually murdered. 1498 Jews were BANISHED by Isabella of Spain, "forever". 1967 The Jews were allowed back into Spain, finally. 1502 Prague - a child age 3 was ritually killed. 1598 Poland - three babies were killed in three cities. 1650 Bohemia - A child, "Matthius" was killed, aged 4. Four Rabbis were a party to this killing. 1663 Poland. A Rabbi killed a child. He was executed. 1669 A baby was killed. Jews were executed. 1690 Belarus. A child ritually killed. In 1997 a TV documentary was made about this child ritual killing in 1690. 1753 Friday April the 20th. A 3-year-old was killed. Jews were executed. 1840 Frenchman and missionary to Syria, Father Thomaso and his servant Ibrahim were found ritually killed in Damascus. Fully documented. Jewish perpetrators. A terrible death. 1850 New York City. Jews were reported killing children. The Irish were extremely upset. 1911 Kiev Russia. A young child was killed for occult rites. - Jews spent the equivalent of over $150,000,000 on lawyers and the Jews won the case. Several witnesses mysteriously "died" who were going to give testimony. All blood was drawn from the dying child. - Their intent in carrying out this ritual in the first place was for the overthrow of the Russian Tsar. They did eventually (of course), and the Jewish Bolsheviks took over Russia. This lead to Jewish "Communism" prevailing in Russia until 1990. Over 40 MILLION Russian ethnics were KILLED by the Jewish Bolsheviks from 1917 - 1990. Please compare this with the paltry SIX Million Jews who were slaughtered in the so-called "Holocaust" - meaning the Fire into which babies were thrown in the Babylonian-Talmudic rites. 1912 Georgia, United States. The murder of 12-year-old girl Mary Phagan by the Jew "Leo Frank". He was Chapter Head for the "Brotherhood of the COVEN - ant" or "B'nai B'rith" - Brit !! WHY IS ENGLAND, "Anglo-Saxon Land" called Britain? 1989 A skeleton was found in New York's lower east side in a 102-year-old Jewish Synagogue. It had been in the cellar for longer than 30 years. 2000s Jews occupying the Palestinian homelands are KNOWN to drain the blood of Muslim children and use that blood for making matzos (blood treats) for Purim and Passover. Note: Many of these deaths have been FULLY DOCUMENTED, either in Catholic Church records or in Courts of Law records. These murders are NOT "heresay". These murders committed against children and non-Jews is FACTUAL, and is likely a small percentage of murders committed by Jews since before the time of Christ. Many Jews who converted to Christianity have given testimony that these things are true. (1) Queen Victoria and first cousin Albert are both from the House of Sax(on)-Coberg. (2) Where DID the Romans get the word "B'rith-tenure" from? Is the REAL name of "Britannia" actually "B'rith tenēre" = to hold, by any chance? "B'rith" = "covenant"
Is ENGLAND the current holder of "the Covenant"
- Is England the place where the BLOOD COVENANT of the Sacrifice of goyim children is currently seated in Energy, by declaration and demand of the High Priest of the Babylonian-Talmud rite/ right? 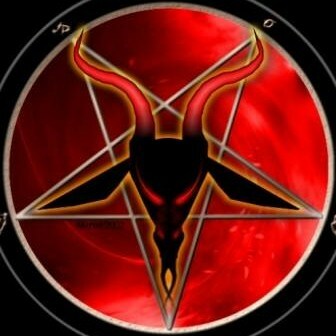 - Is the BLOOD COVENANT installed and seated in "B'rith tenure" (Britannia) to be held in Energy in England, until such times as the Jewish Anti-Christ is named and the NWO depopulation and other such snares are sprung?? Is this another Magic Trick of the Puppet Masters? FBI data from the year 2000. There are 400,000 children who go missing in the United States every year... That's 1000 children every day go missing in the US, never to be found again. Where are these children ending up?